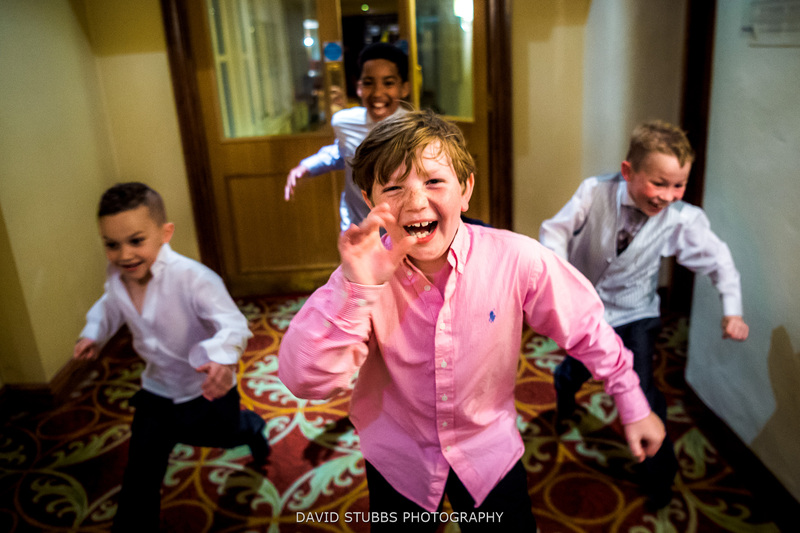 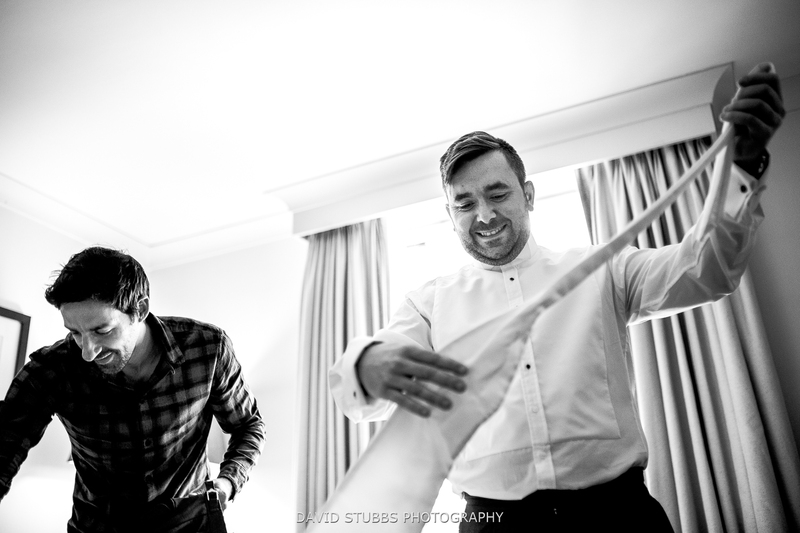 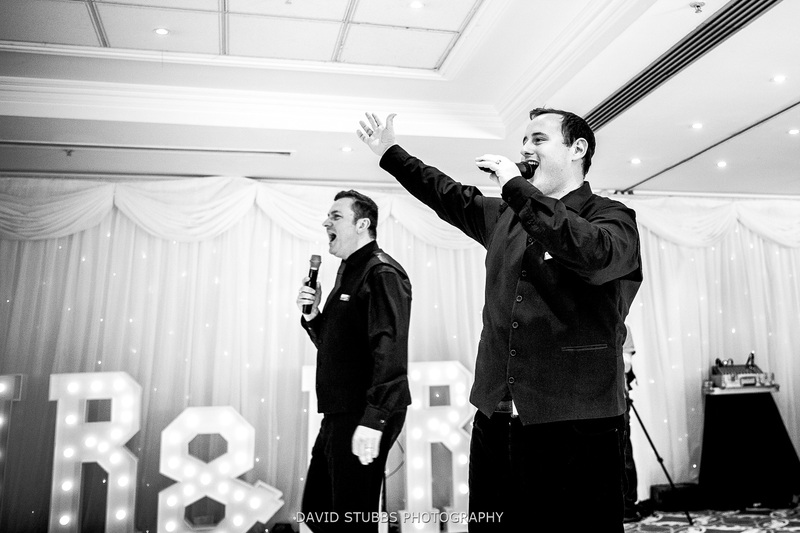 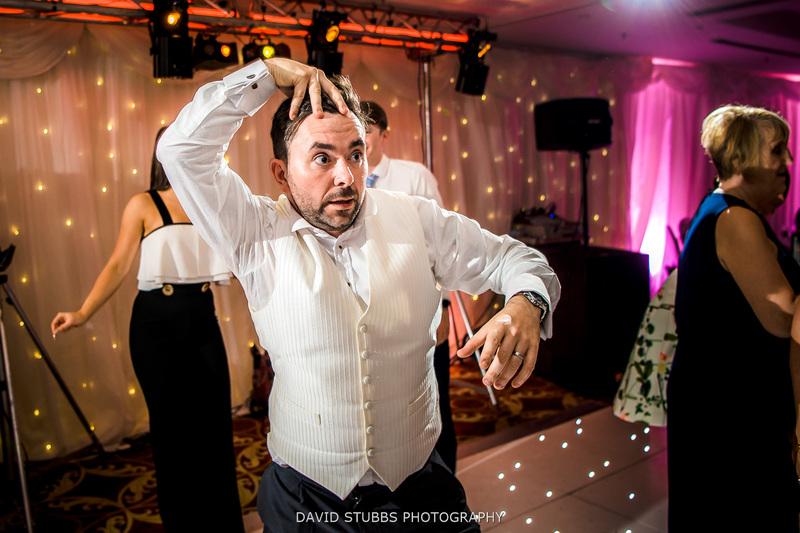 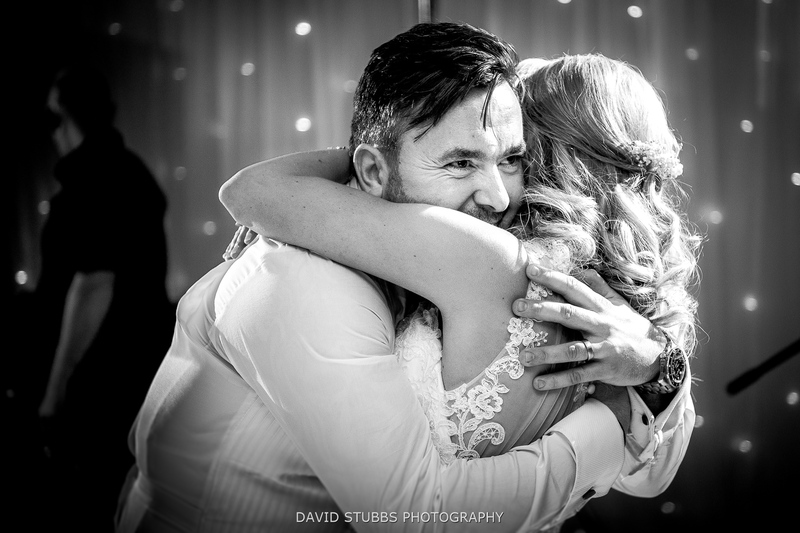 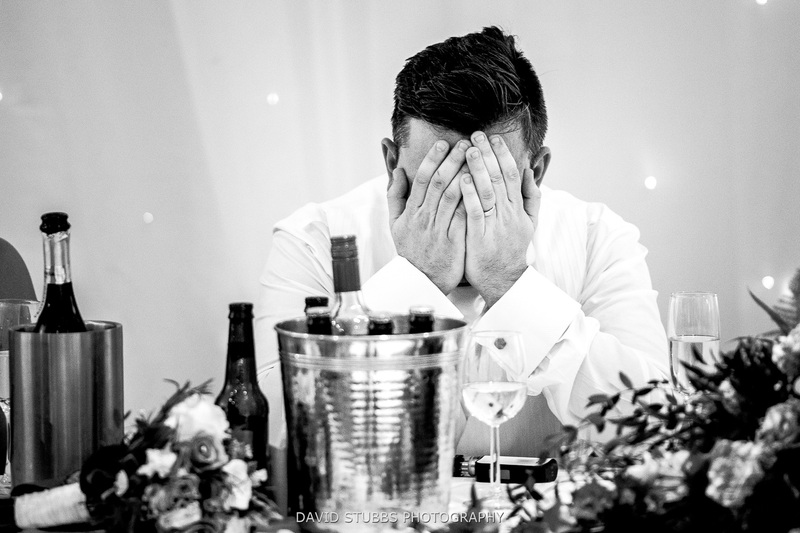 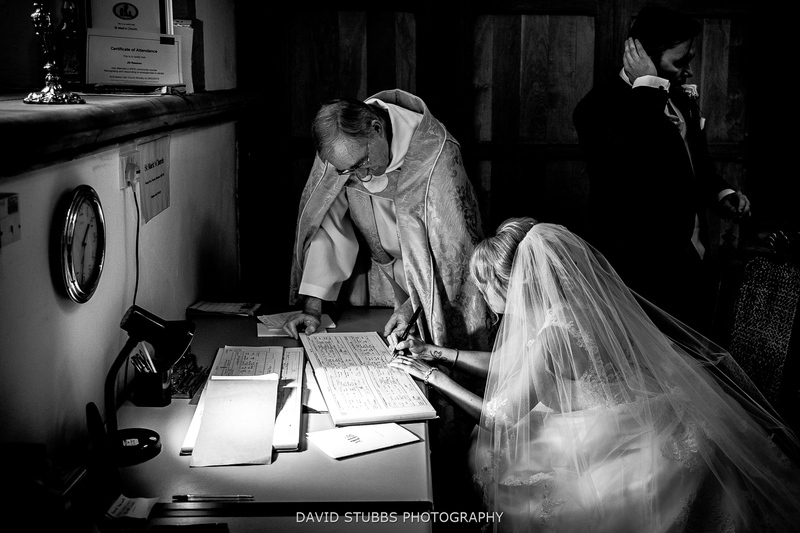 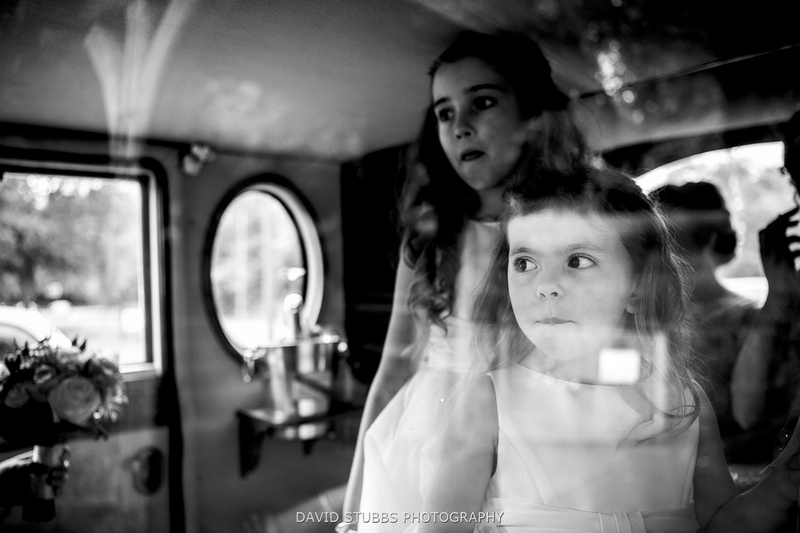 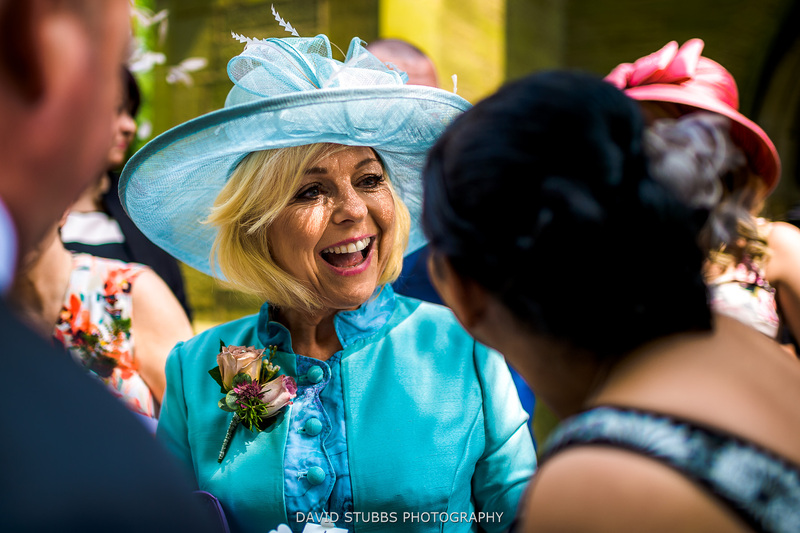 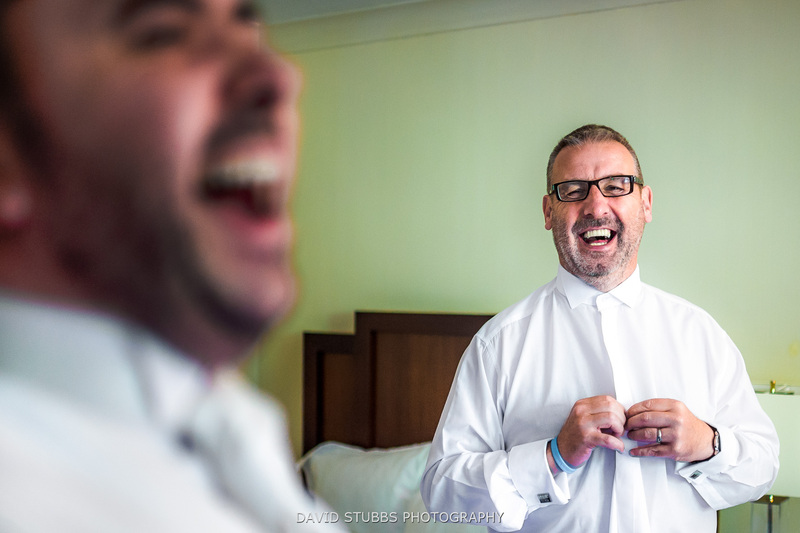 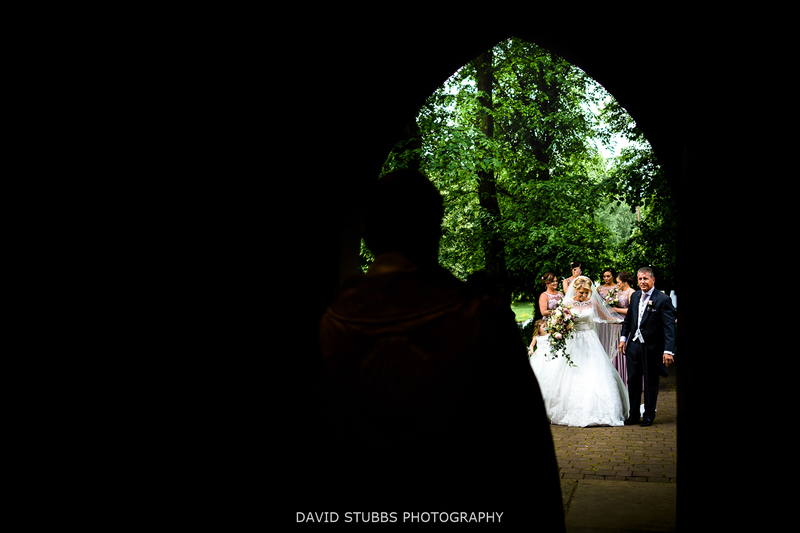 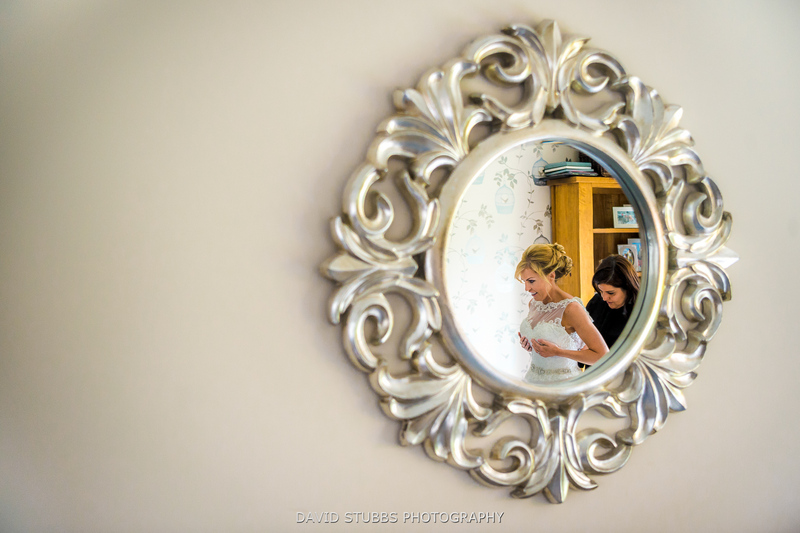 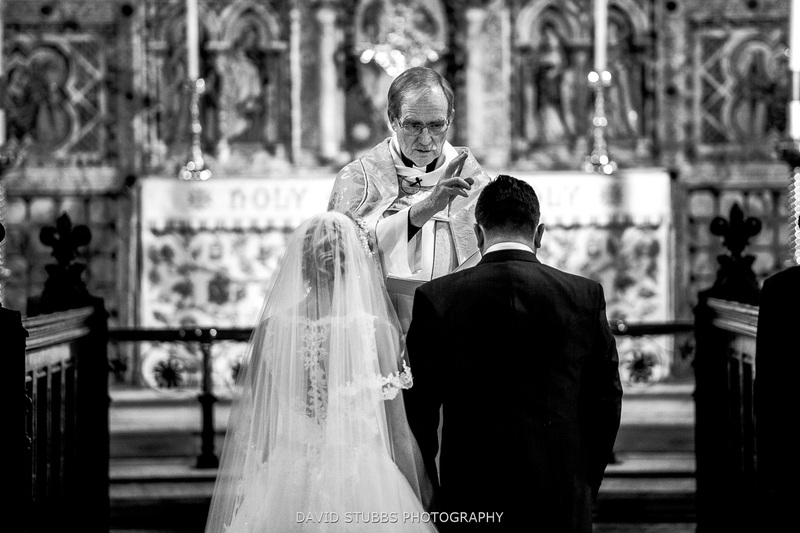 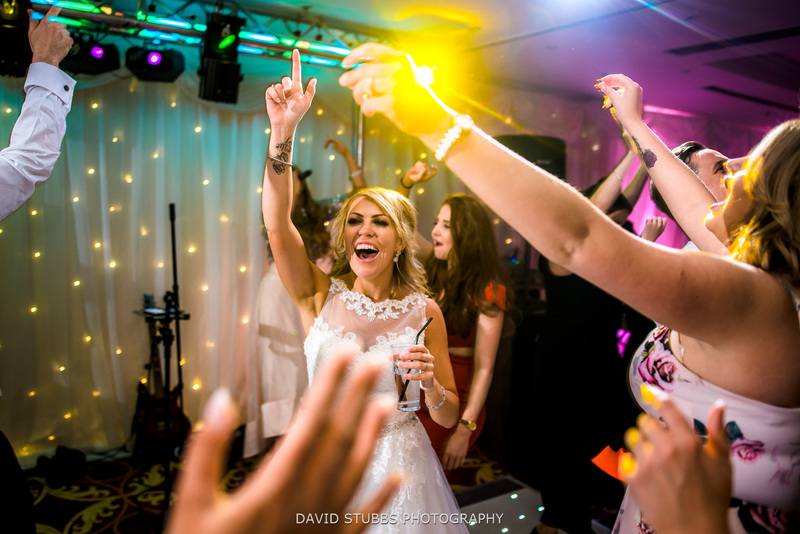 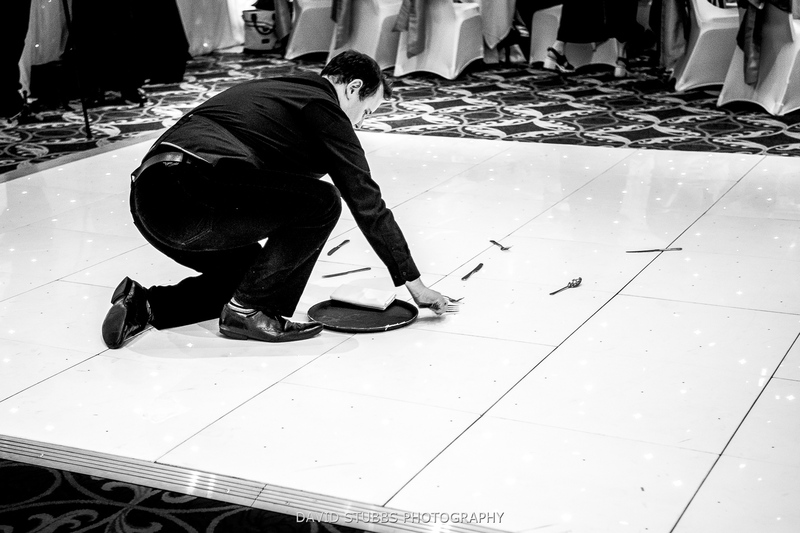 This was not my first time photographing a wedding at the Marriott Hotel in Worsley. 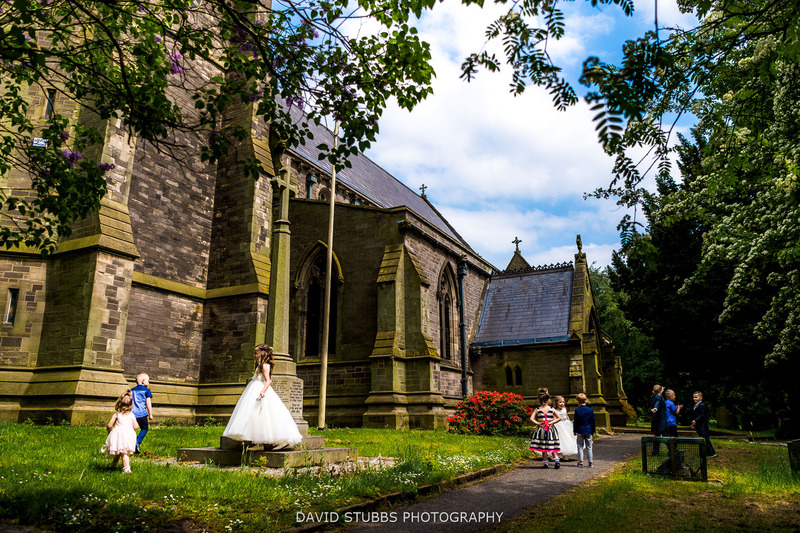 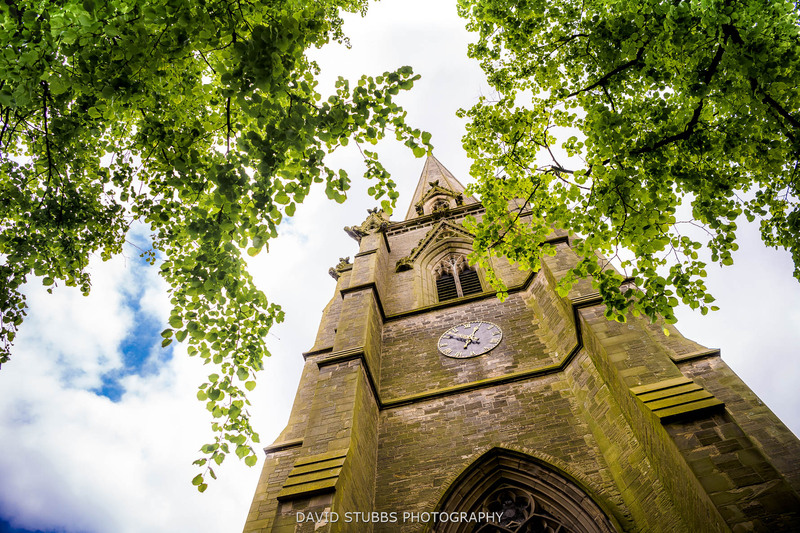 Only a short drive from where I live in Manchester, this is a luxury place to stay and a wonderful venue for a spring wedding. 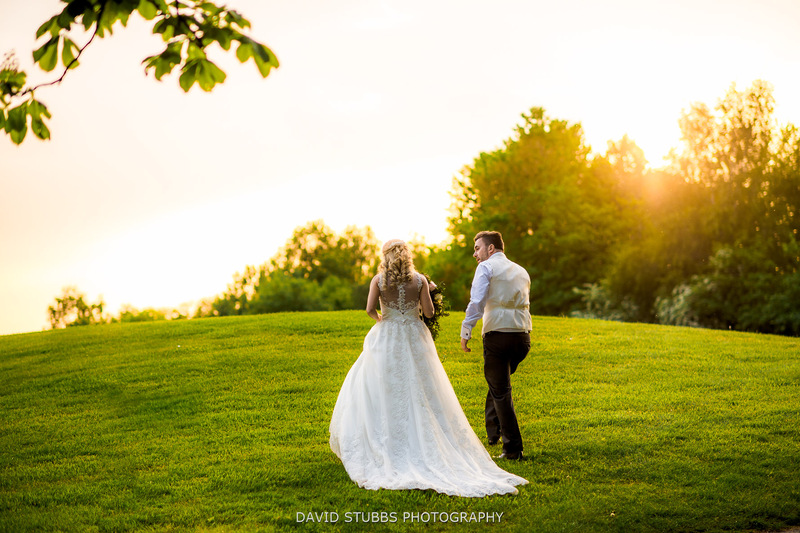 The day was glorious. 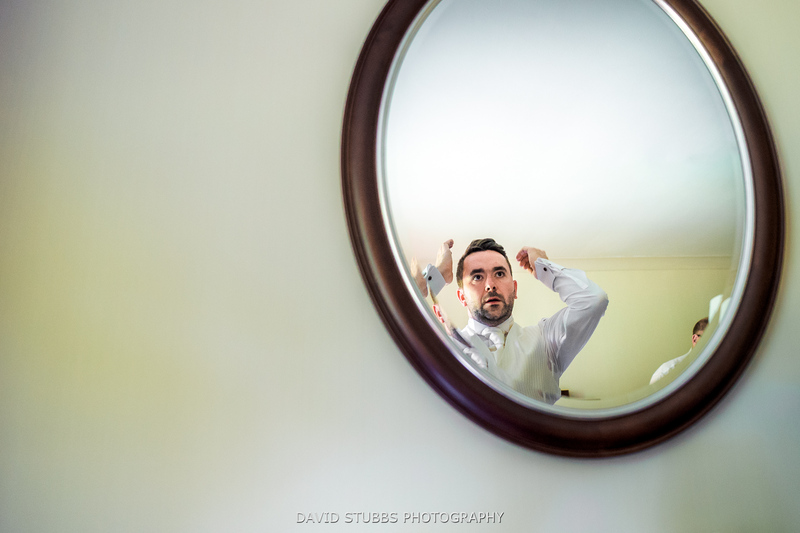 It started with Matt and the groomsmen in one of the rooms getting their suits on ready for the ceremony just down the road at St Mark’s church in Worsley, a popular location for couples to be wed.
After some fun and upbeat photos of the mornings pre-celebration antics, I headed over to Matt & Beckie’s home to photograph the bridal party. 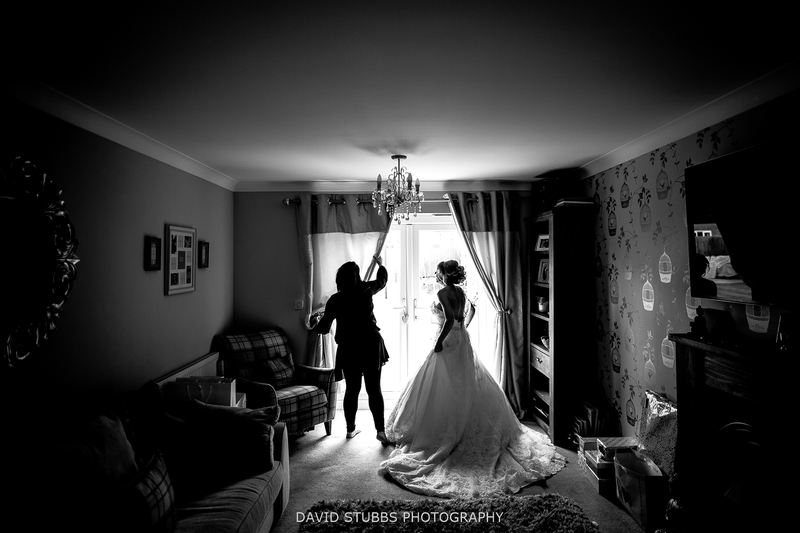 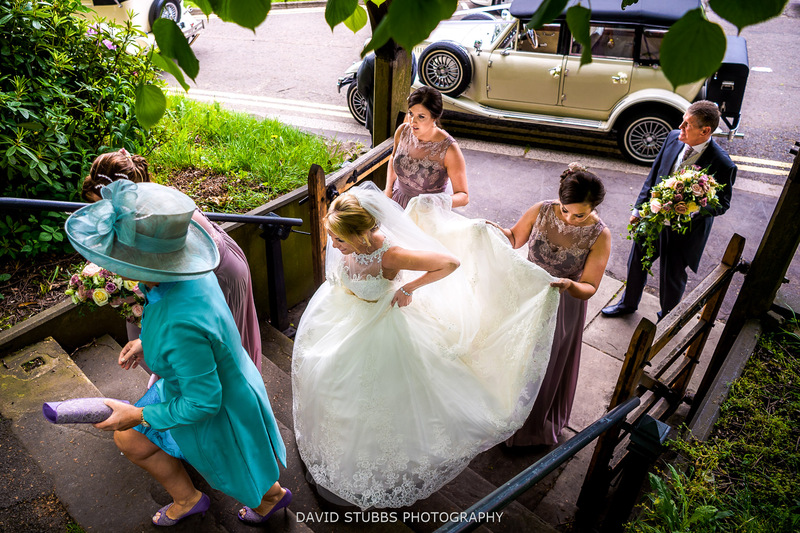 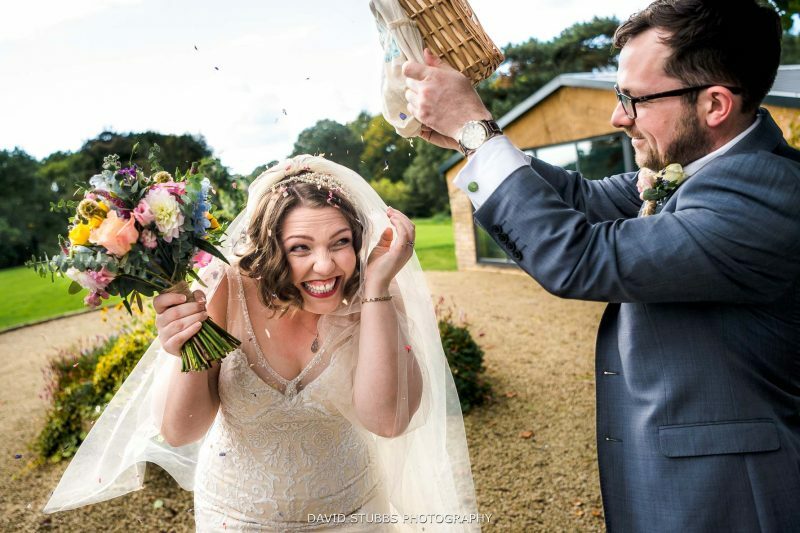 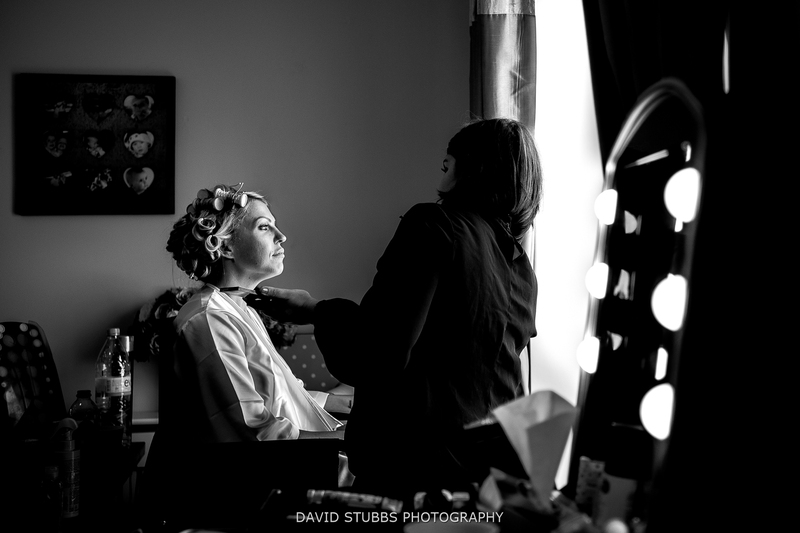 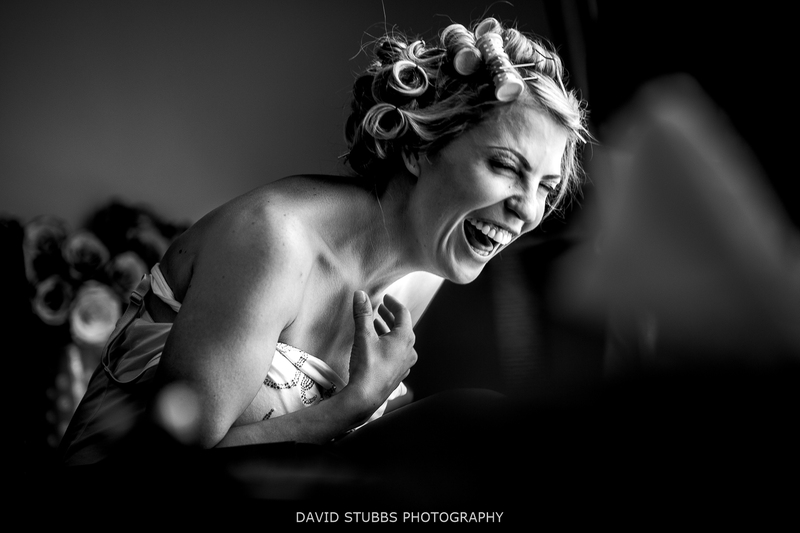 Pretty much the best wedding hair and make-up team – Flossy and Leigh – were at hand all morning and always up for some fun banter lightening the mood of the morning. 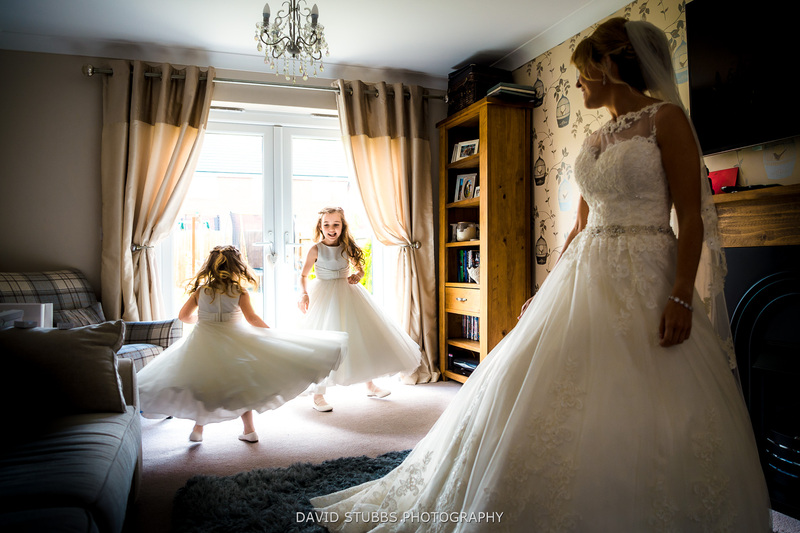 The bride and bridesmaids all looked stunning. 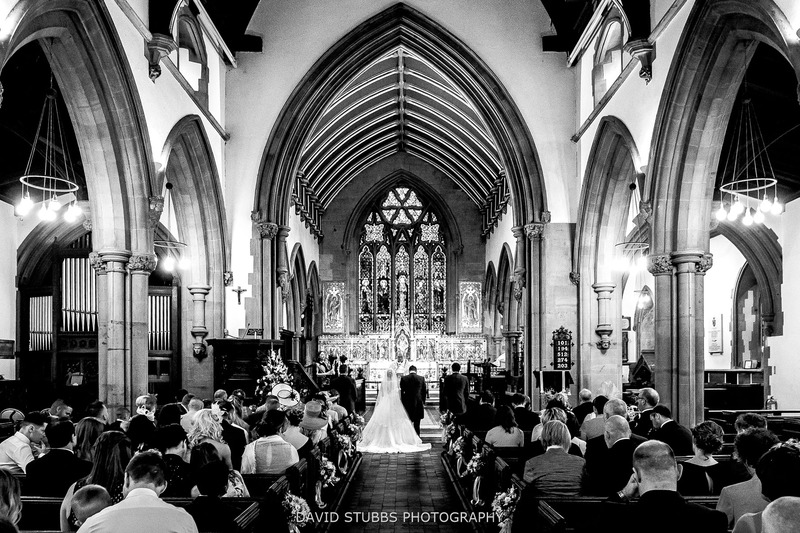 St Mark’s, just down the road from the hotel, is a beautiful place for the ceremony, but they are quite strict when it comes to photographers, so I was banished to the back (and it’s a big church), so I captured what I could. 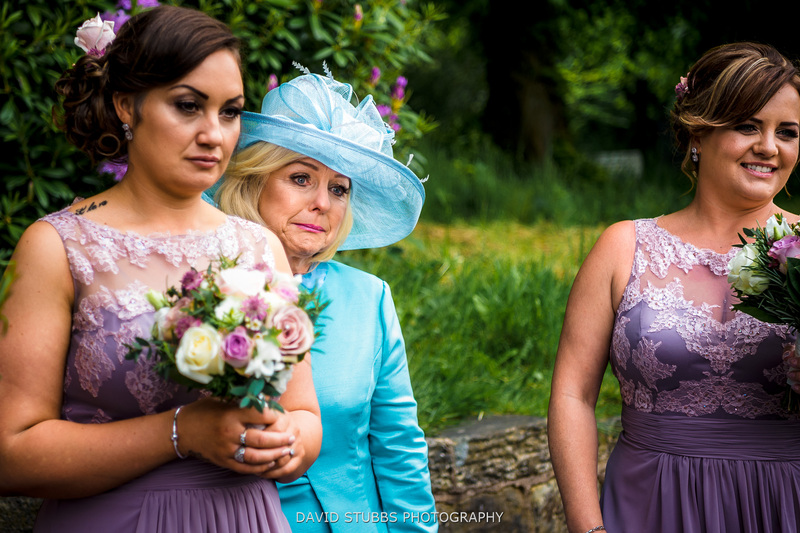 I rarely use my big telephoto lens but this was one of those, luckily I had packed it with my backup gear in the car. 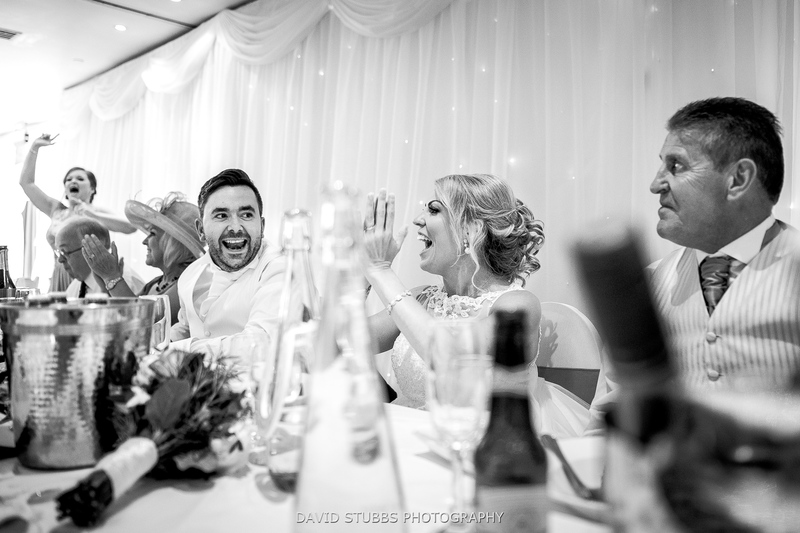 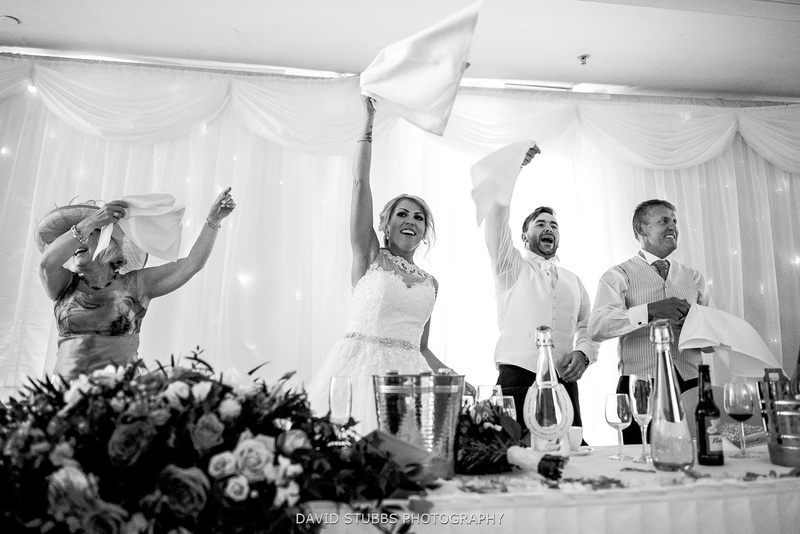 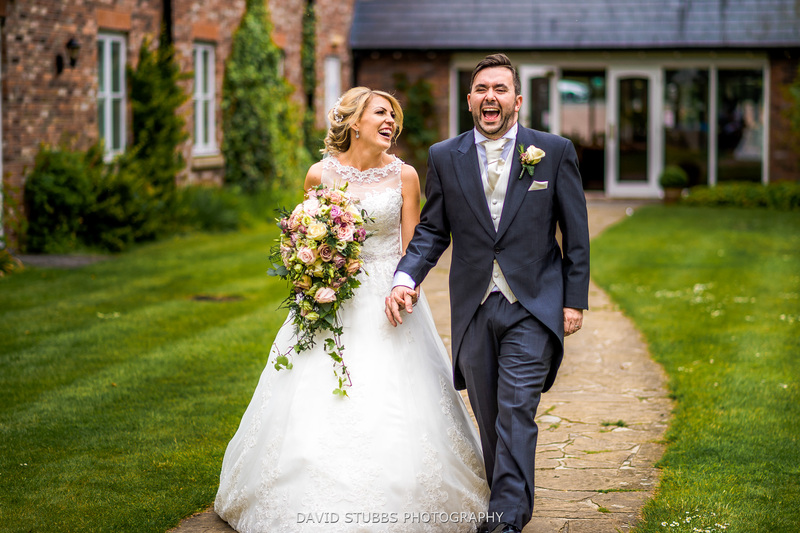 After lots of congratulations and confetti it was then back to the Worsley Marriott and my wedding photography continued. 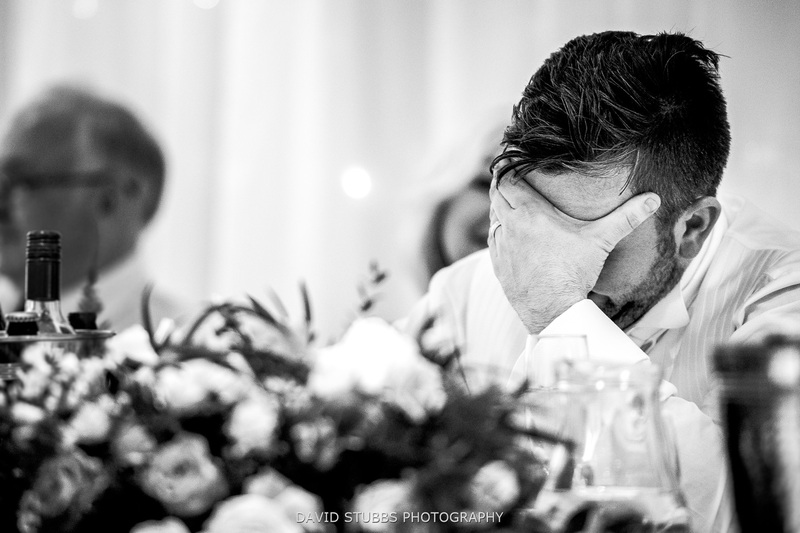 My style of photography is primarily natural photos. 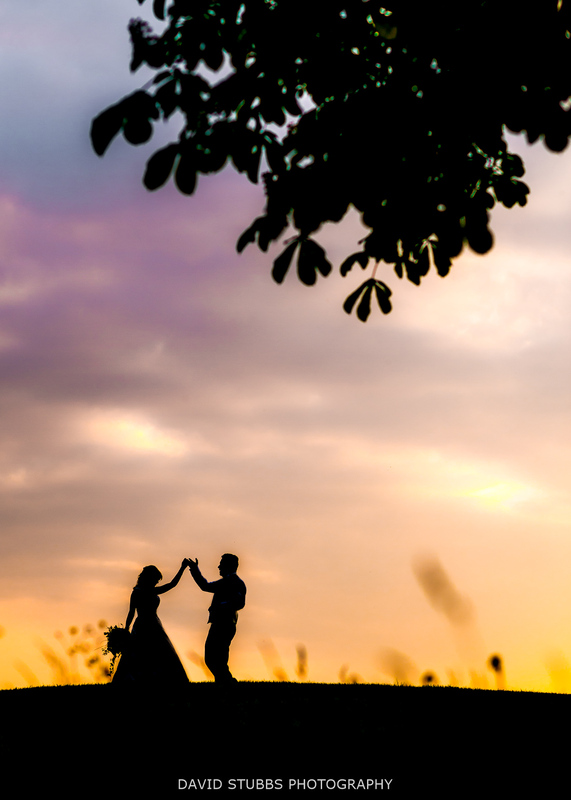 I ask that you pretend I’m not there and just enjoy your day. 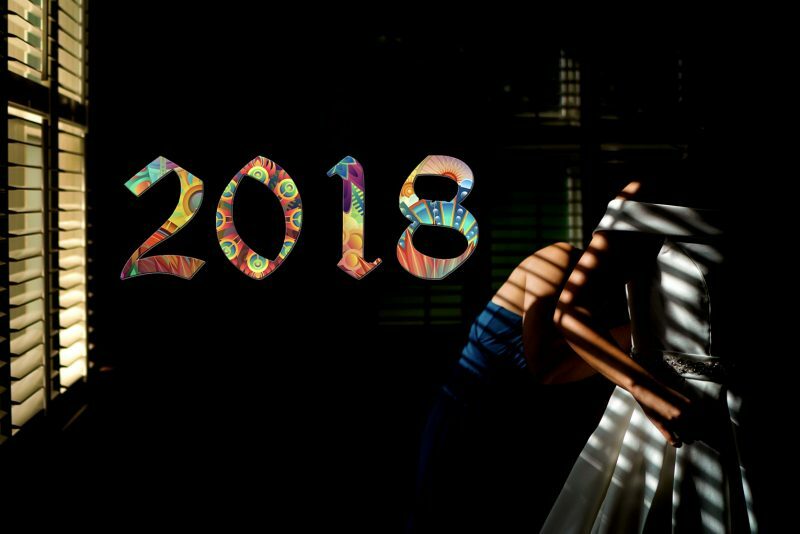 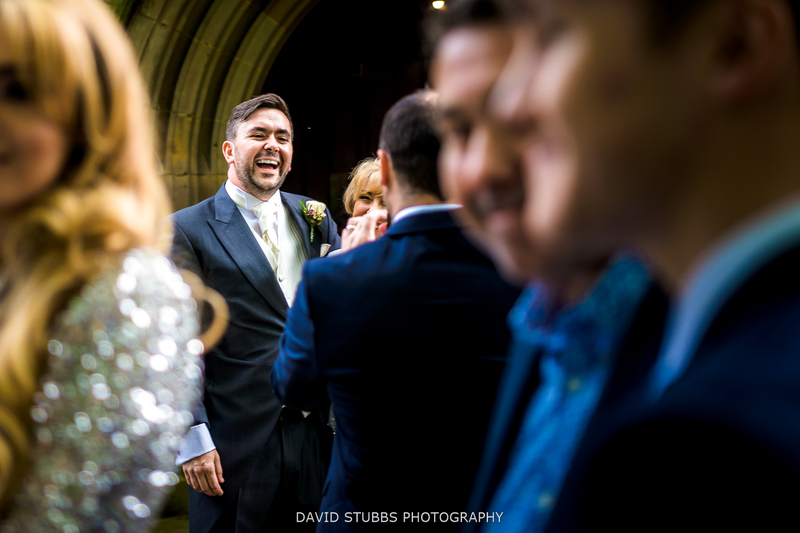 I use the camera quickly looking for moments happening, and trying to choose clever backdrops to make the moments stand out. 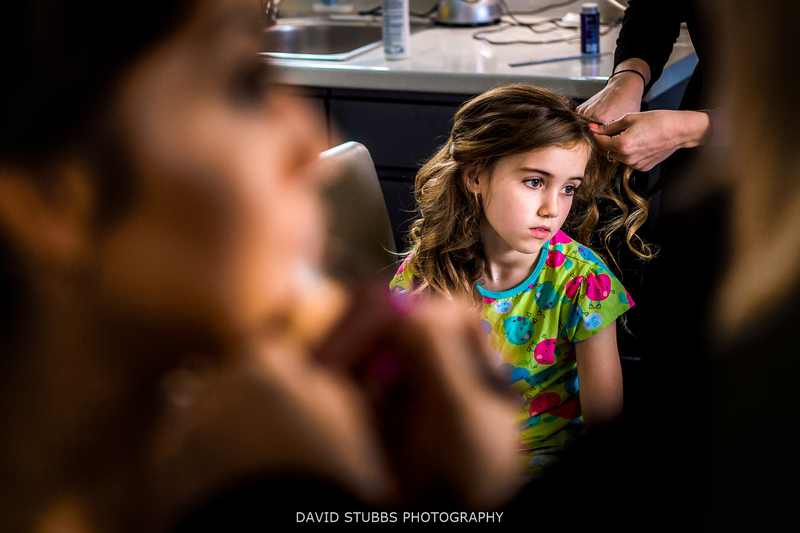 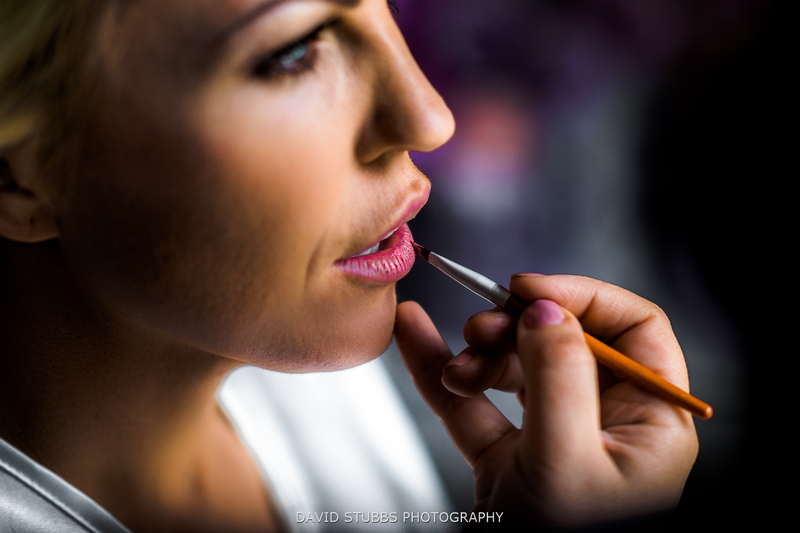 I generally only use available light and fast lenses that help me pin-point what the key subject to the frame is. 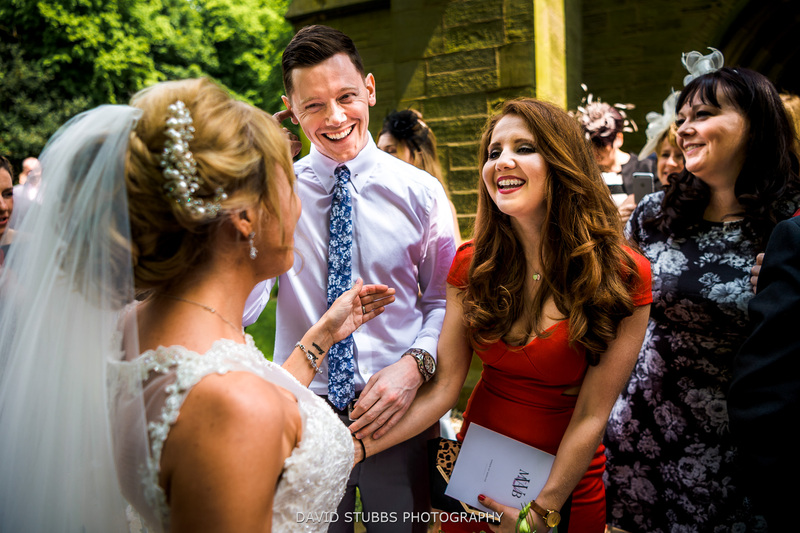 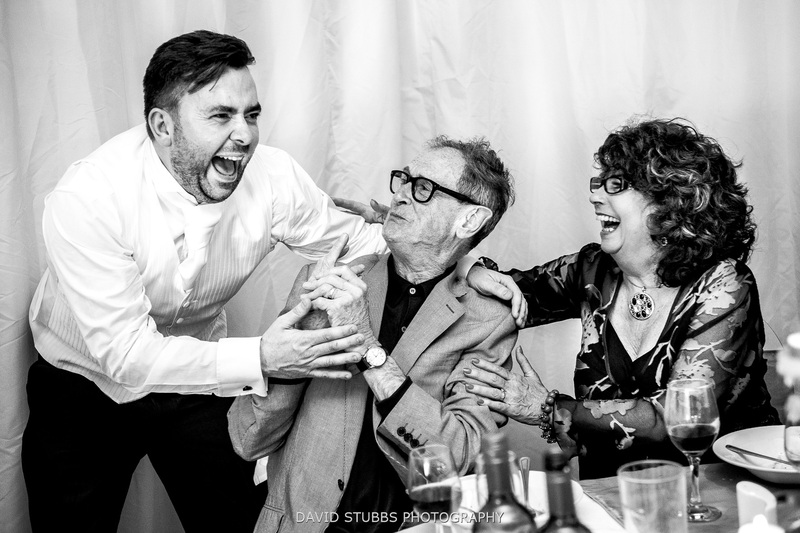 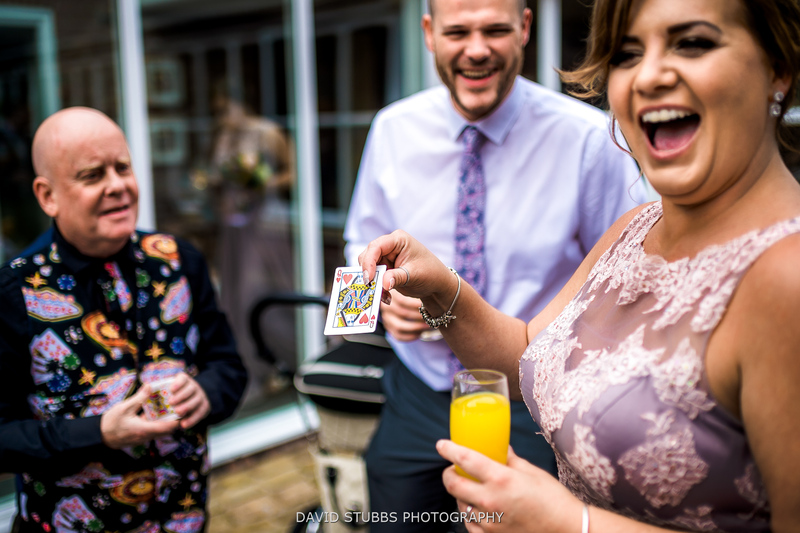 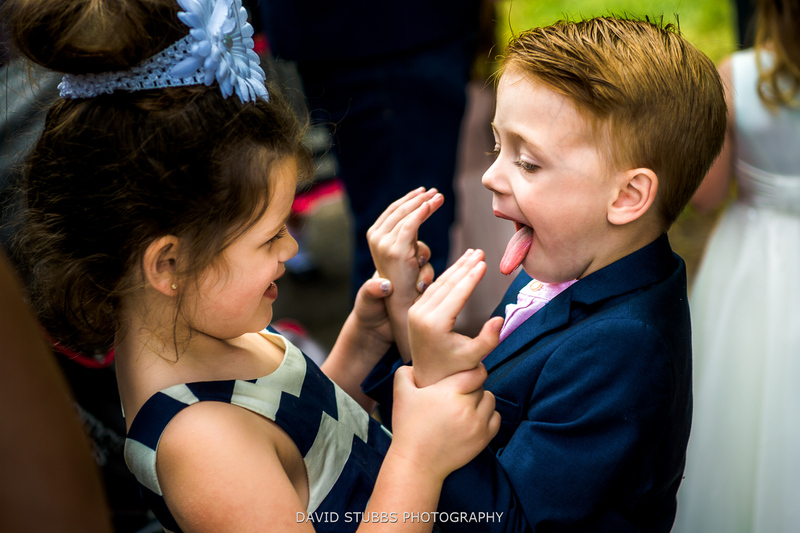 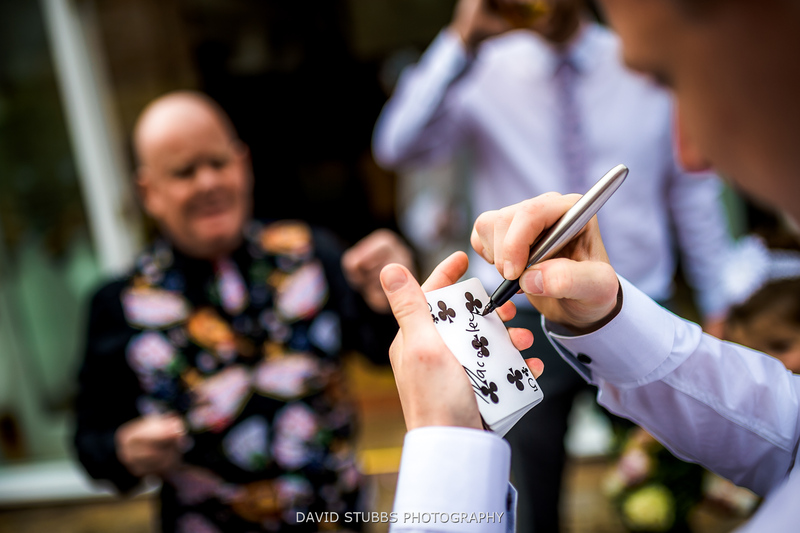 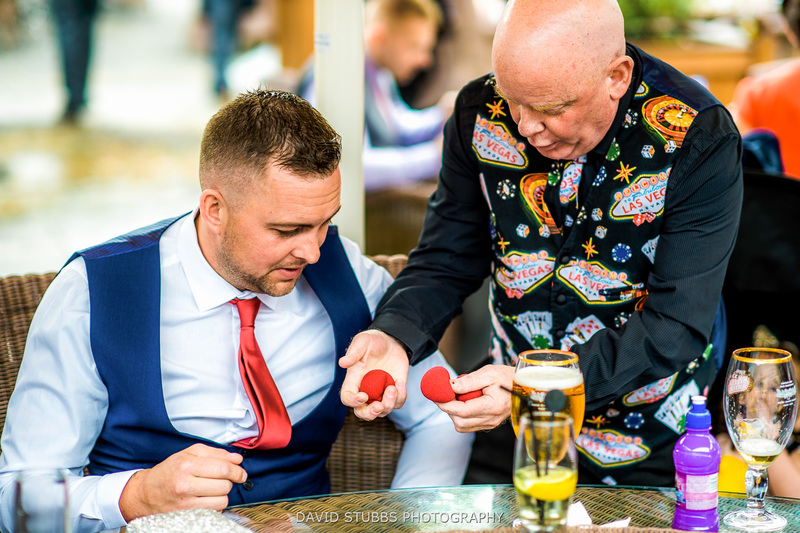 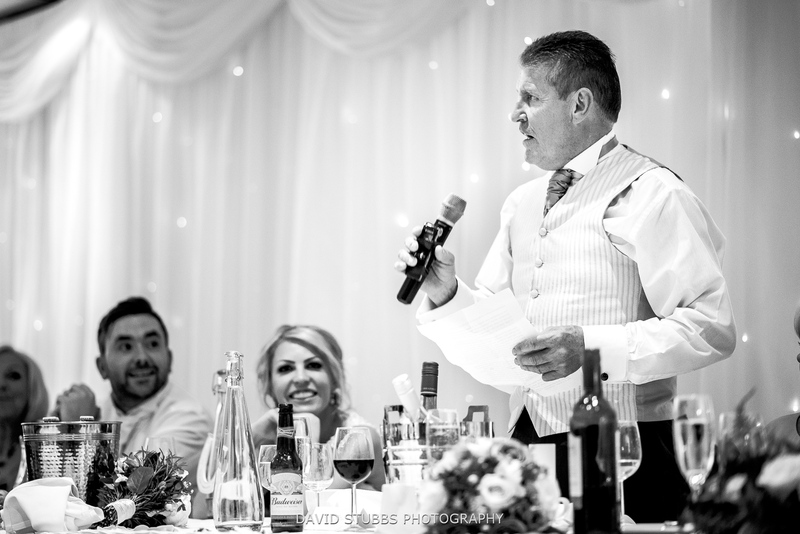 A super clever and funny magician entertained the wedding guests, and a big surprise for everyone was the surprise singing waiters. 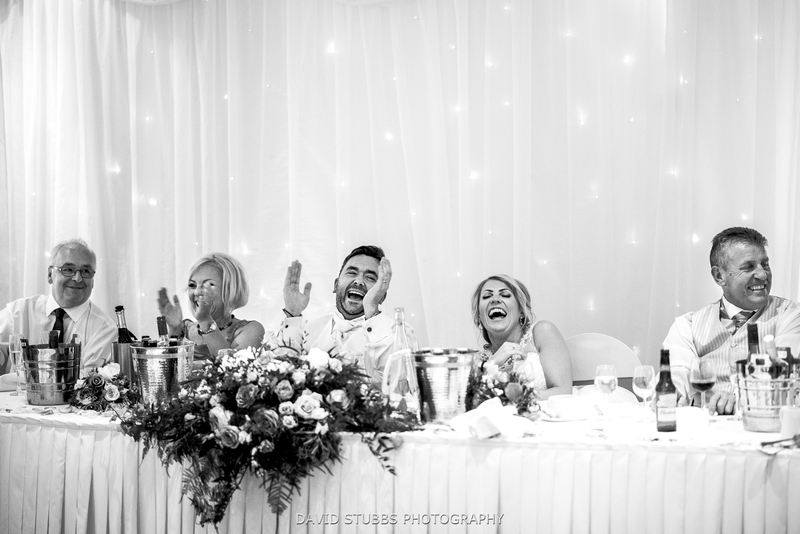 These waiters had spent all meal arguing and bickering with each other and building tension in the room. 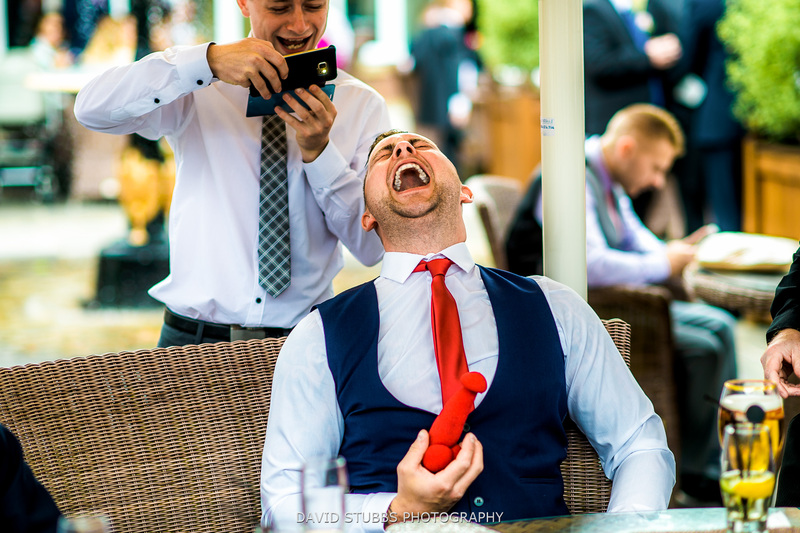 It then exploded when the waiter dropped a try of cutlery. 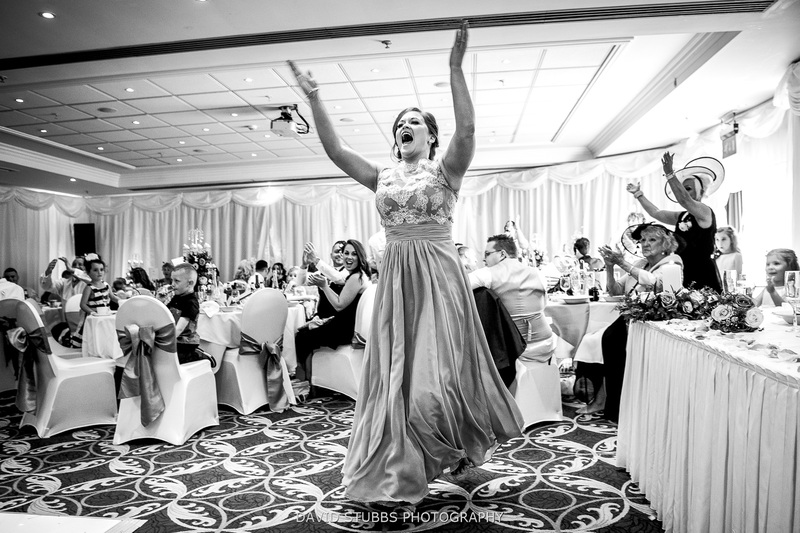 Everyone looked on in horror, as they stormed out, only to return mic in hand and in full song. 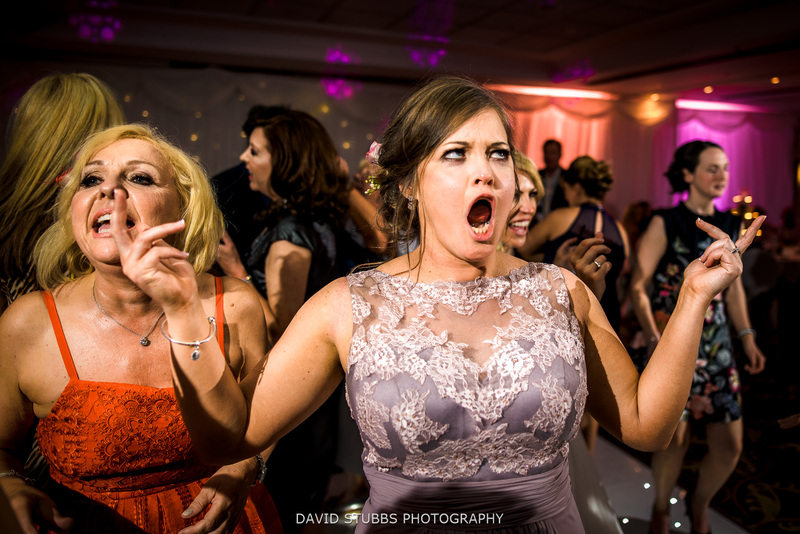 I love photographing all this action as peoples expressions are so fantastic. 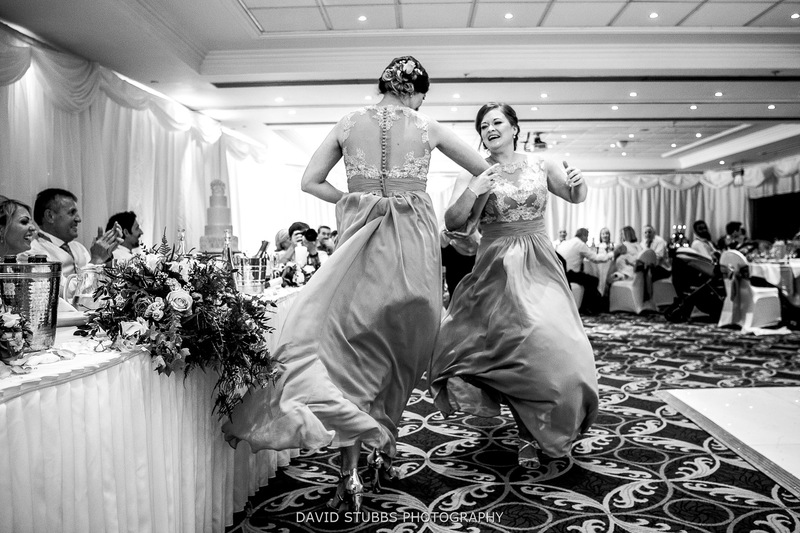 I particularly loved the bridesmaids kicking off the dancing by charging to the dance floor ahead of the top table. 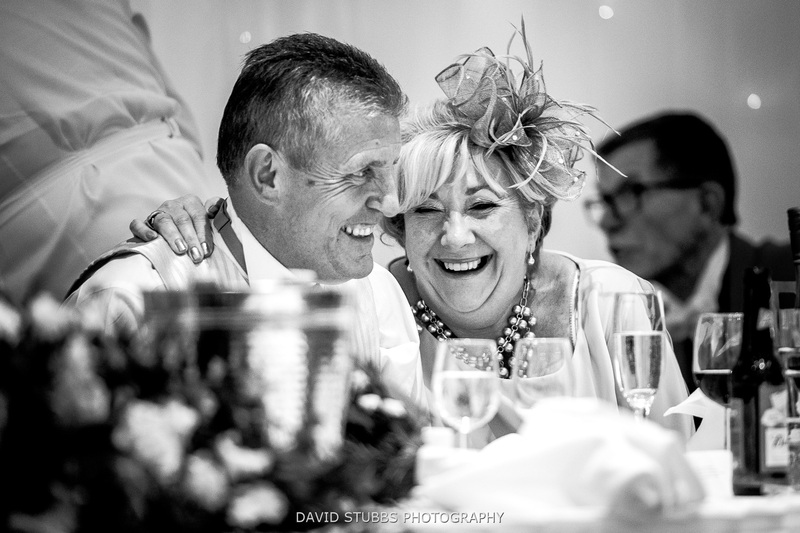 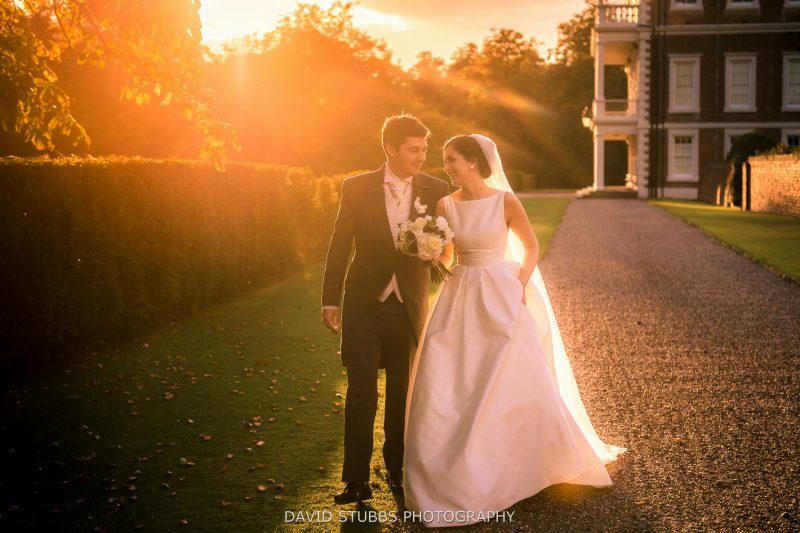 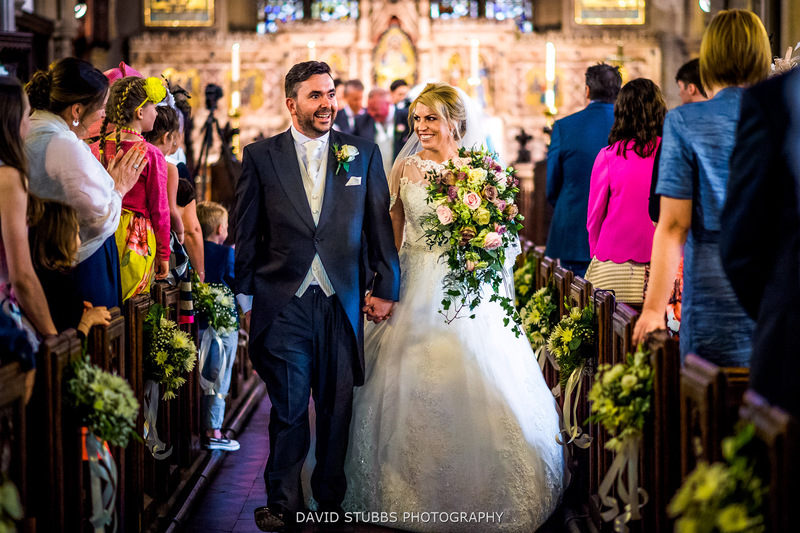 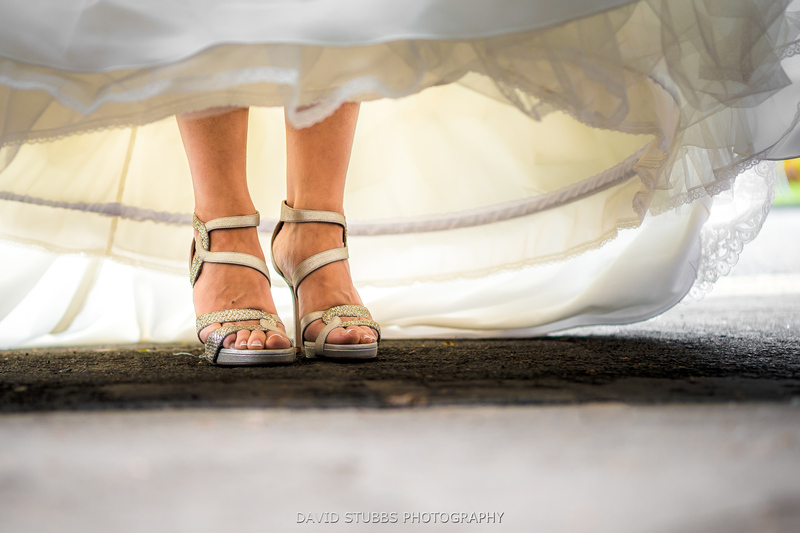 What a wonderful and special wedding to be part of, and a total joy to capture all the memories for the newlywed couple. 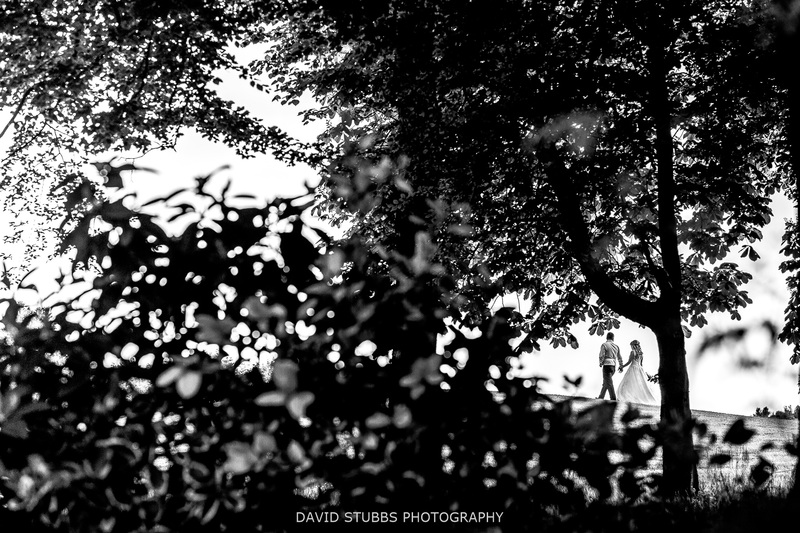 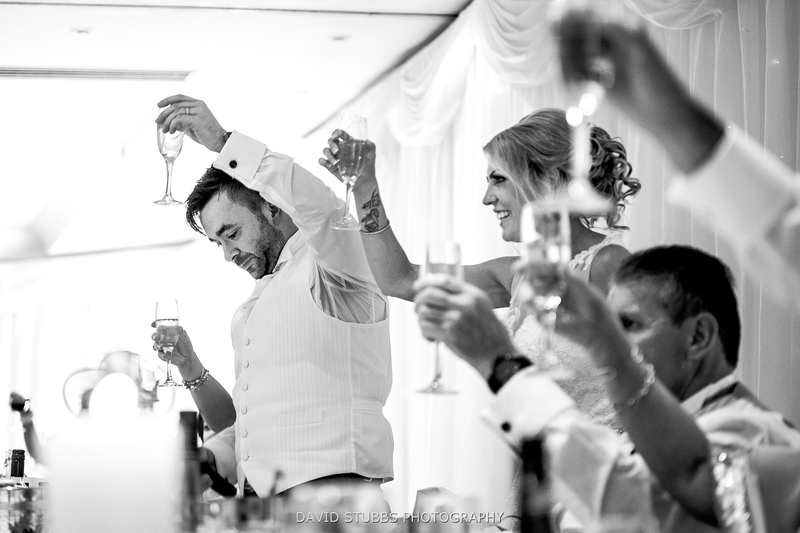 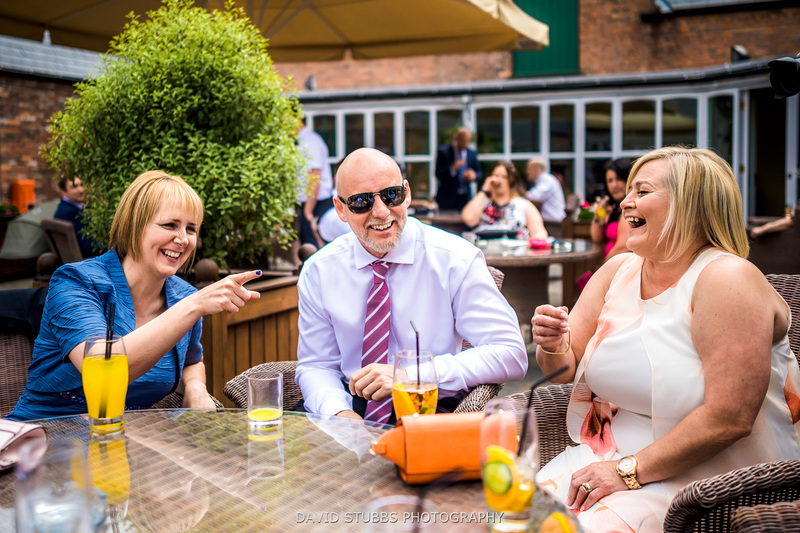 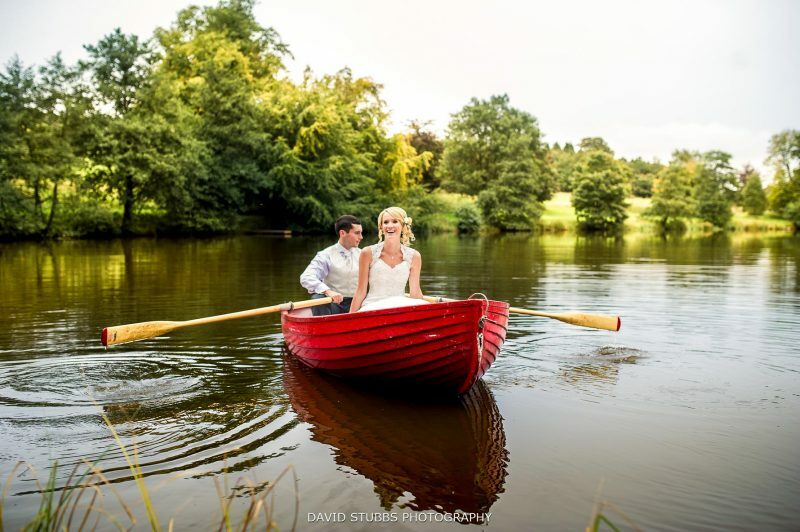 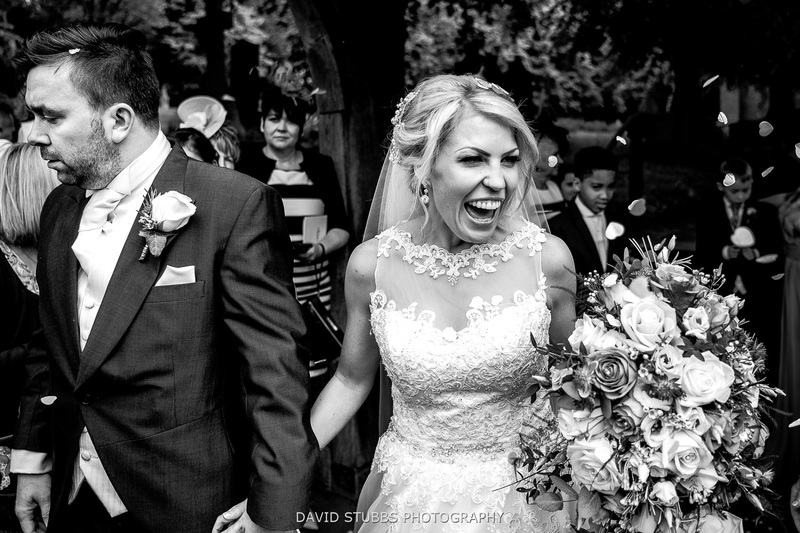 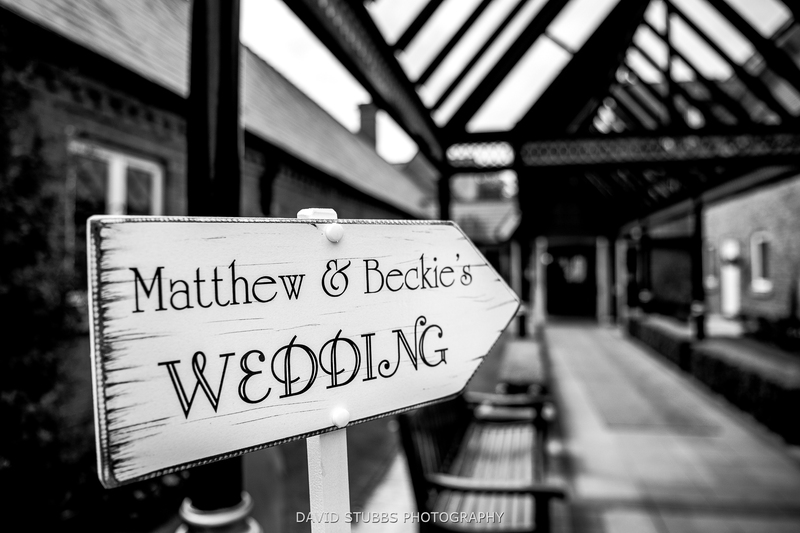 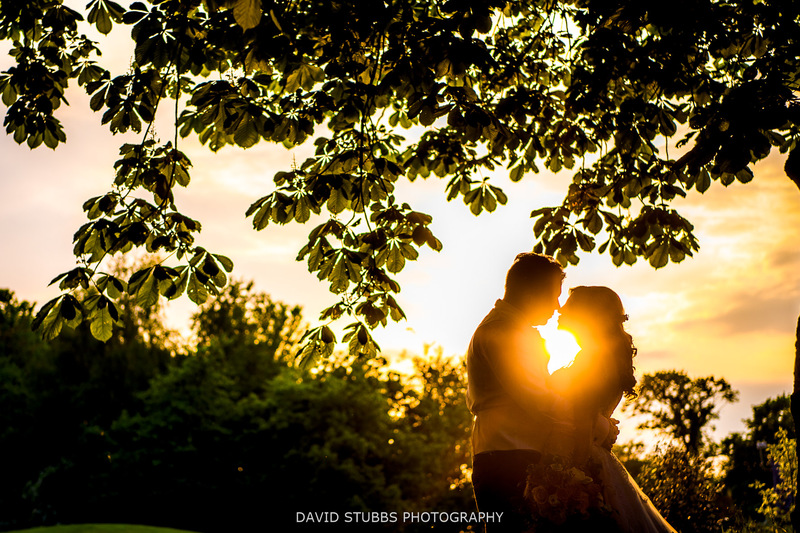 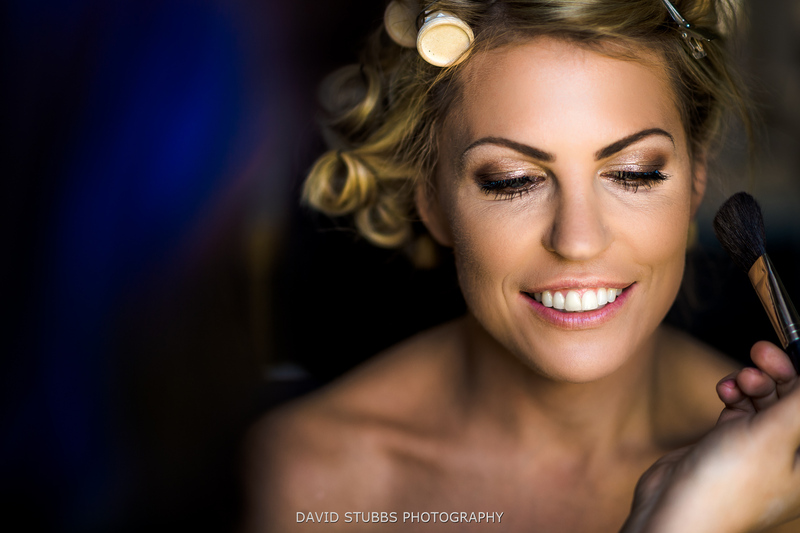 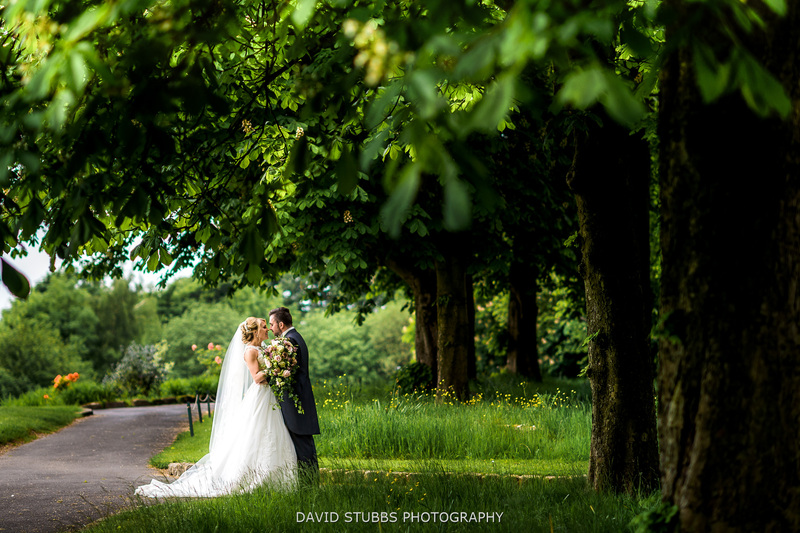 I can’t wait to return to Worsley’s Marriott Hotel again soon for another wedding to photograph. 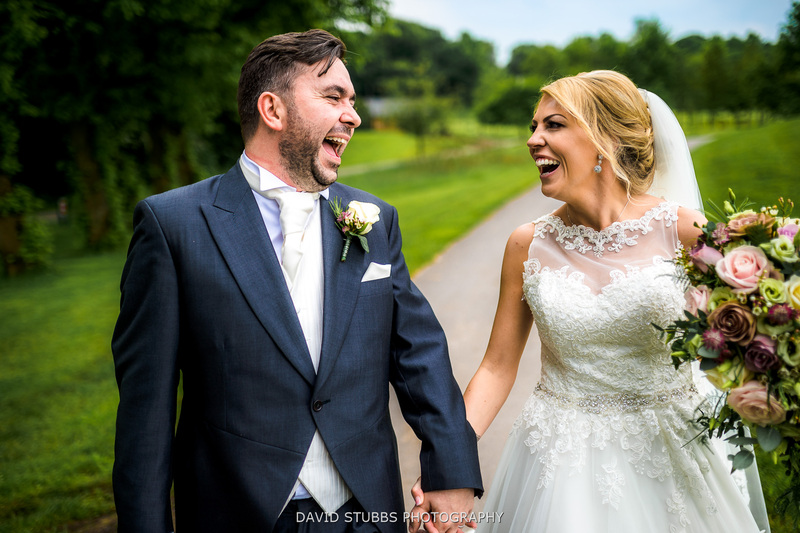 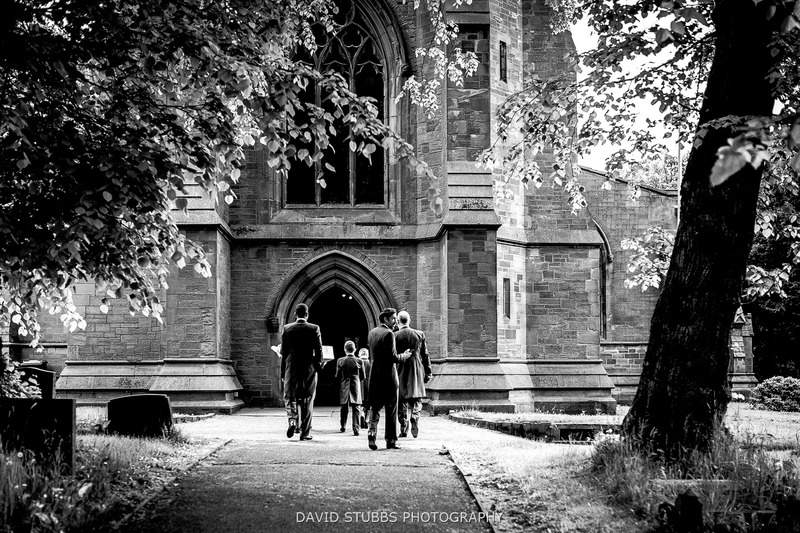 Big thank you to Matt Warrington for second shooting on this, and great working with the guys at Perfect wedding video’s once again. 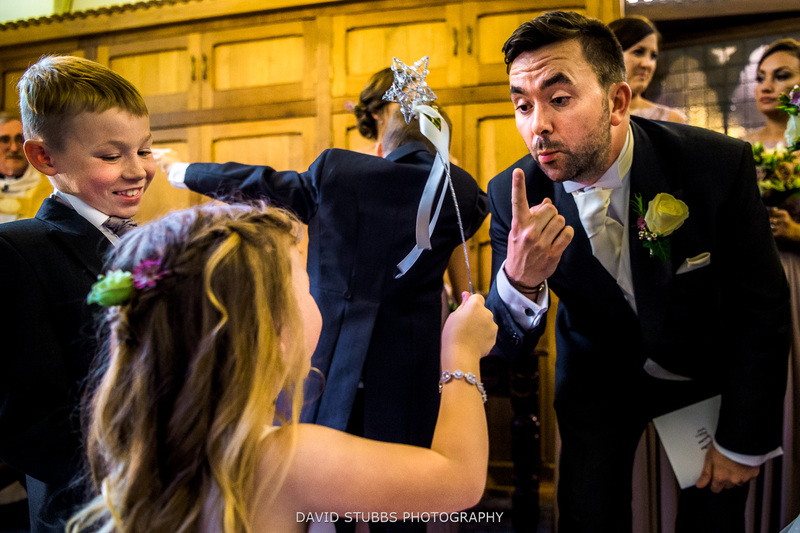 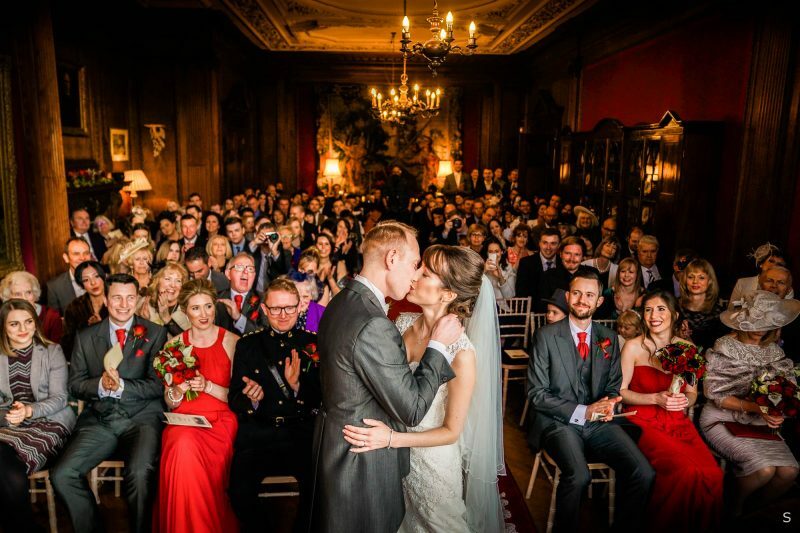 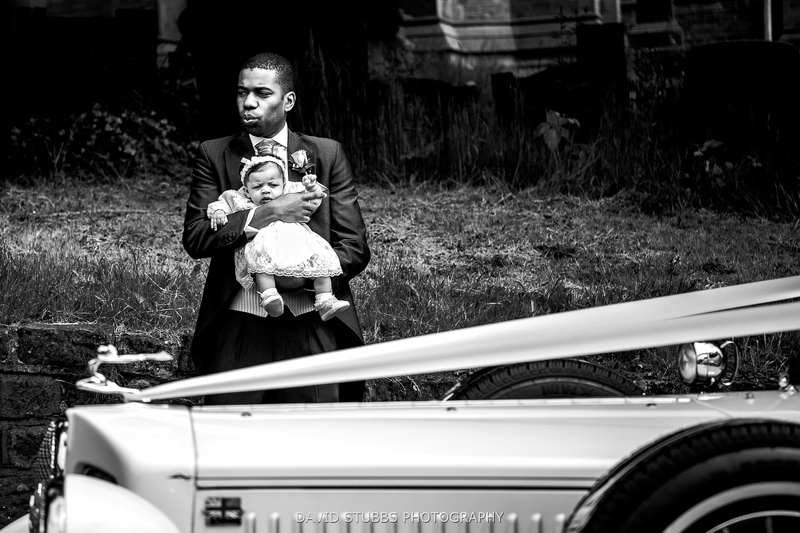 Below’s gallery is just a selection of photos from their day. 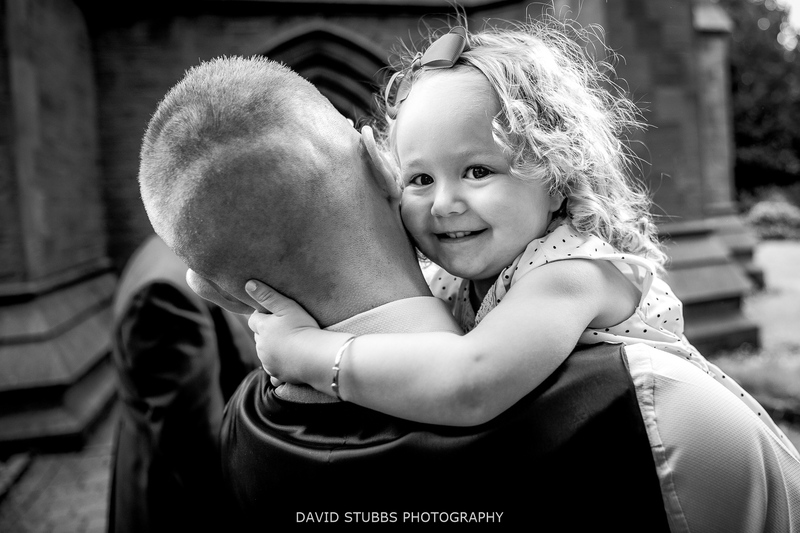 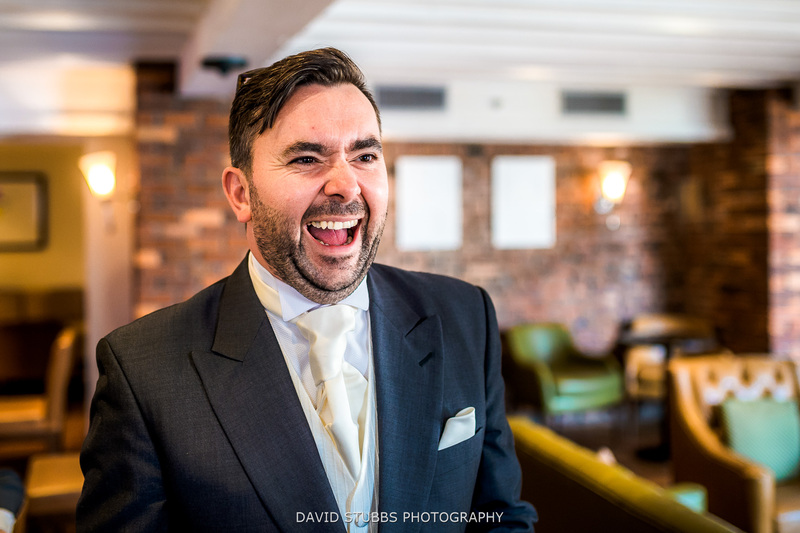 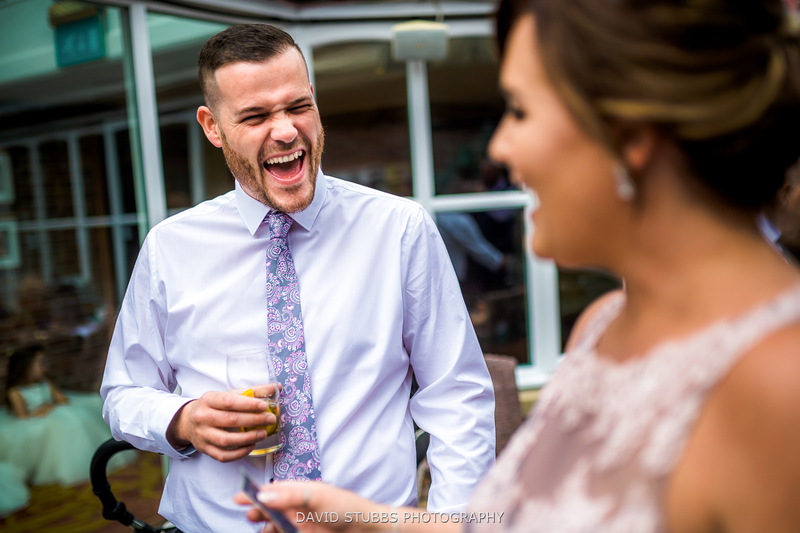 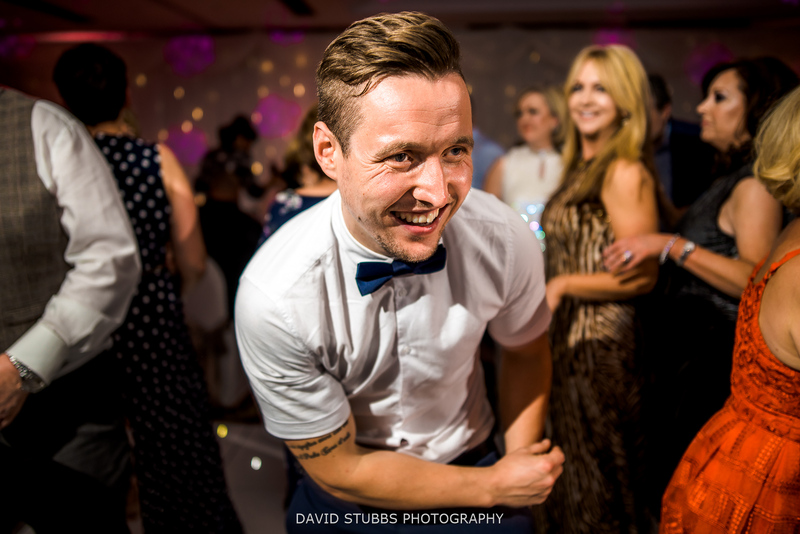 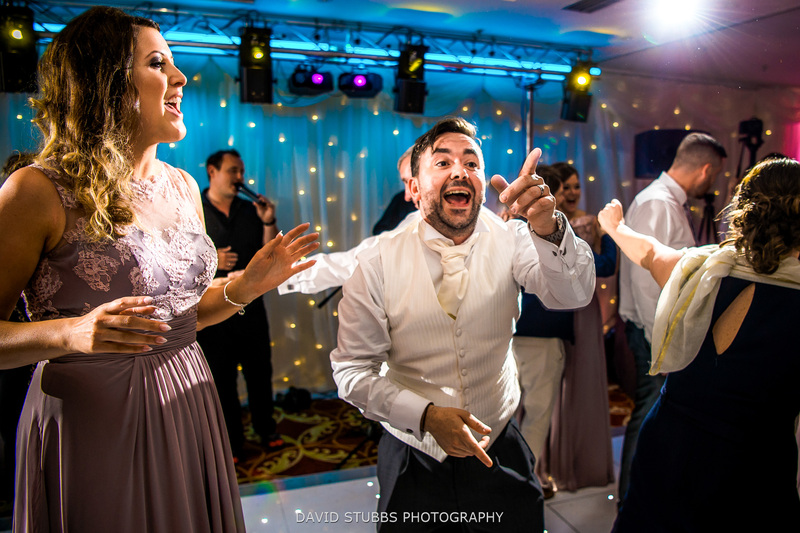 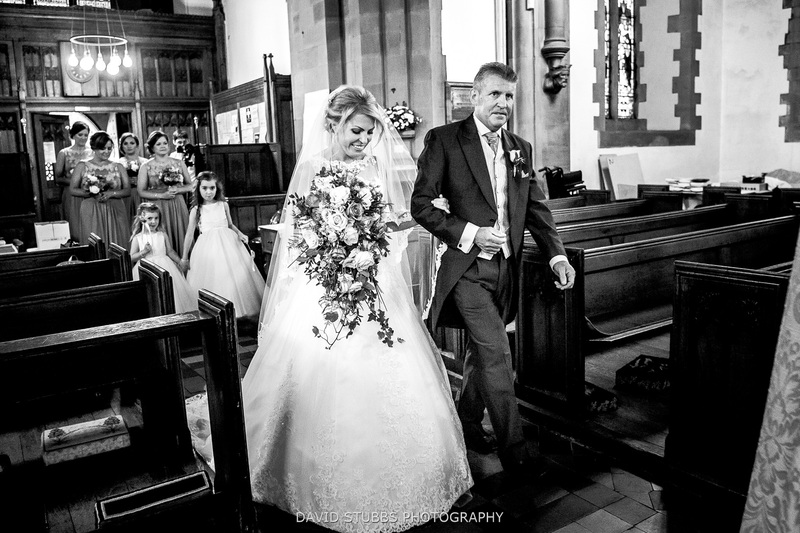 If you are looking for a natual or relaxed photographer for the Marriott or any other wedding venue, then please get in touch. 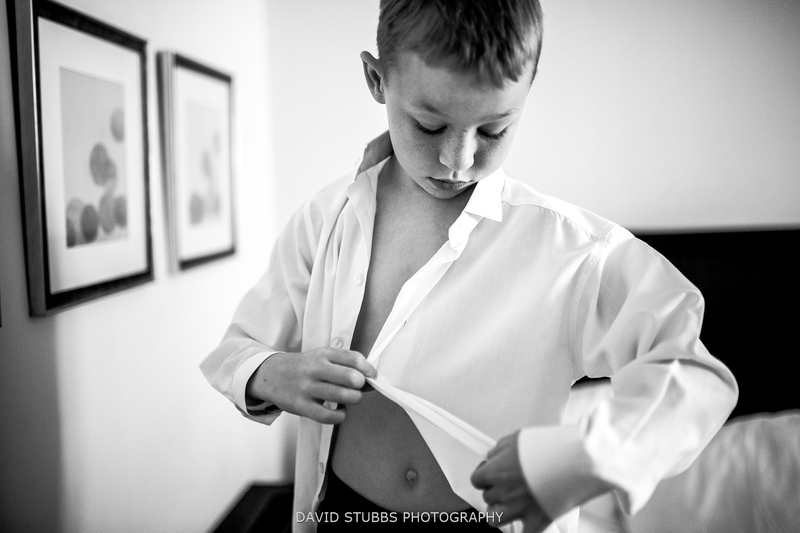 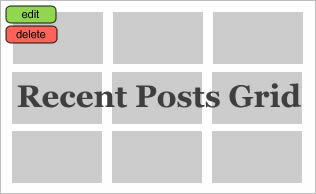 You can see more of my recent work by clicking a link below.